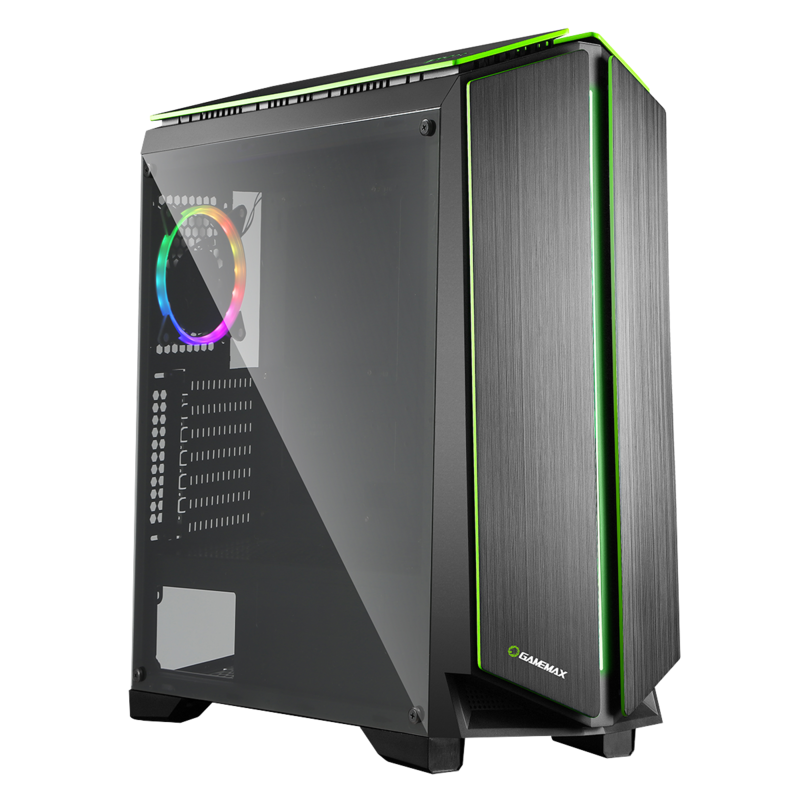 Changing the game for 2018 Game Max have introduced the Zircon RGB Gaming Case with a full acrylic side panel. Designed to a high standard with a green outline on the front, the Zircon would fit in with even the most elite of player. Three Single-Ring Spectrum Halo fans, two on the top and one on the rear with 50+ colour modes and speed selections that can be controlled by a RF remote means you will be able to find the perfect colour combination no matter where you are in the room. You can add to your setup with the PWM Hub supporting up to 8 x 6-Pin devices and 2 x 3-Pin LED Strip Lights. The Zircon offers a unique spectacle of light with a variety of RGB features that would enhance any build and truly impress. In line with the Game Max ethos this case offers style, performance and the ultimate experience. 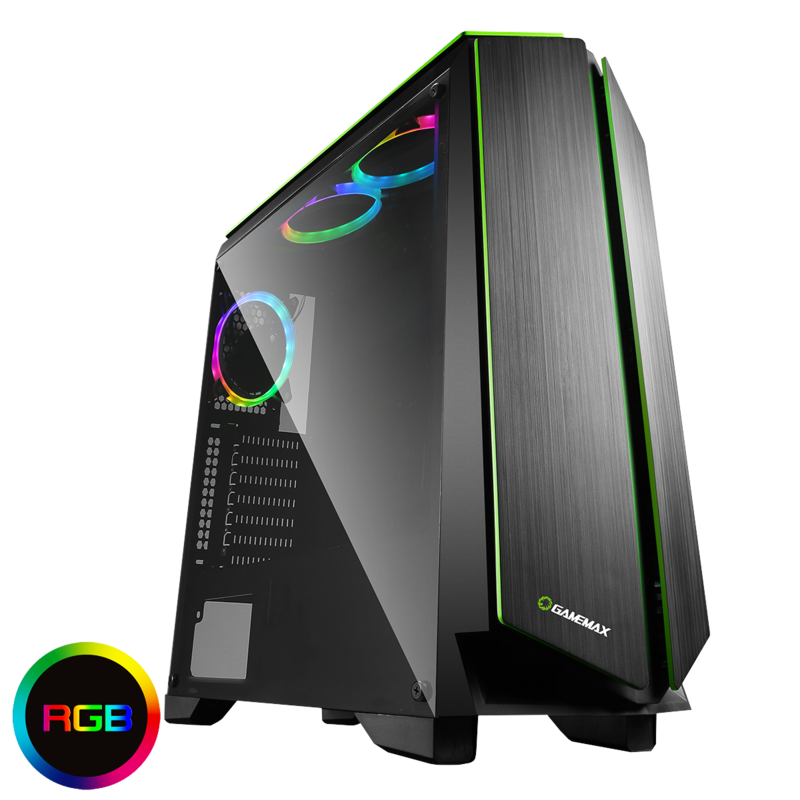 RGB Fans – Three Single-Ring Spectrum Halo fans are included on this great case to take it beyond performance. 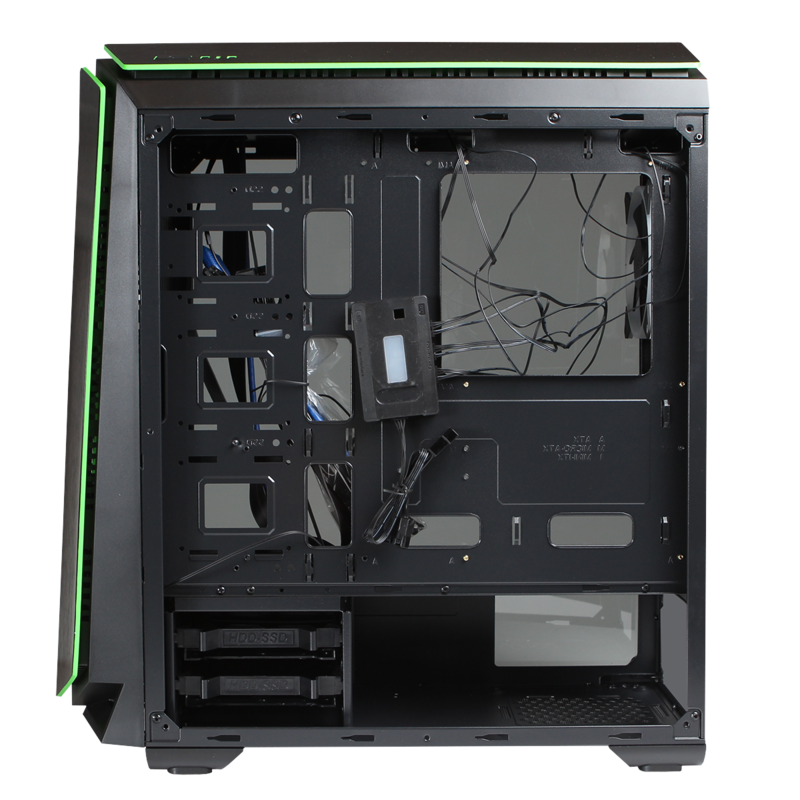 Acrylic Side Panel – The Zircon comes with a full acrylic side panel to show off the final build and all it’s glory. 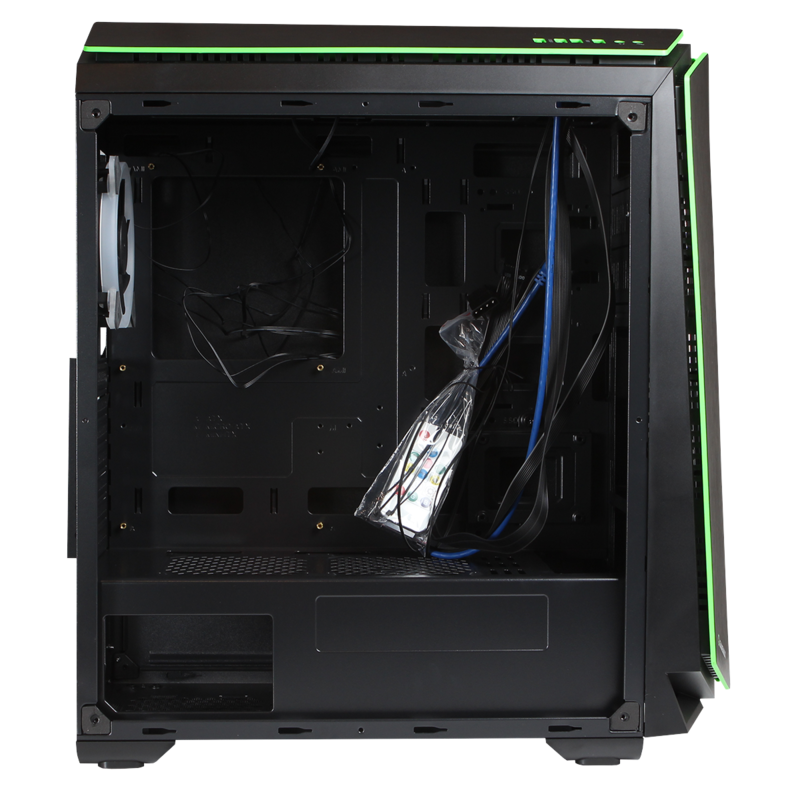 Exceptional Cooling – The Zircon supports up to 10 fans to ensure maximum performance and significantly reduce the chance of overheating..
PWM Hub & Controller – A PWM hub and controller is included the hub allows you to connect to 10 devices and having the hub included keeps your chassis interior clean and tidy. The RF remote controller makes it easier to change the colour combinations and you can light up your fans using the 50+ colour modes, you will never run out of ideas. I/O Ports – 1 x USB3.0, 2 x USB2.0 and HD audio are conveniently located on the top of the case for easy access. LED Button – An LED button on the front with the Zircon gives the user even more control on how there case looks. PSU Cover : 2 x 120mm Fans can be fitted. The Game Max focus is gaming products to enable everyone to have a great experience without breaking the bank.